Milky Way — taken by our very own Astro Photographers at Port Dickson! If you find the night sky profoundly riveting and are consumed with a desire to unravel the deeper workings of the universe, the RI Astronomy Club wants you! Why astronomy? Astronomy is an intriguing fusion of art and science: while it obsesses over the pulses of radiation emitted from a nebula, it also revels in the intricate patterns of the nebula; while it details the luminosity of a star, it also muses over the Greek mythology which inspired the constellation to which this star belongs. It chronicles the past, present and future of Man, our home planet and the vast depths of space. At the RI Astronomy Club, members learn to truly see and appreciate the enthralling universe that surrounds them, as well as the various facets of theoretical astronomy. All these happen at the club’s weekly Friday night sessions, where members congregate and are entertained by lively lectures conducted by fellow members on various topics of astronomy. After, they adjourn to the parade square, where telescopes are set up for all to stargaze and learn the tricks and ways of practical astronomy. The club also hosts events Astro Night, where members spread their passion for astronomy to the rest of the school. At Astro Night, non-members joined in the fun, getting the chance to view the sun and planets through a telescope and learn more about astronomy trivia and the relative scale of planets and stars. Members carry out fringe projects such as an outing to view meteor showers or building a Dobsonian telescope from scratch! These are born out of pure enthusiasm, and the club is open to members initiating them. 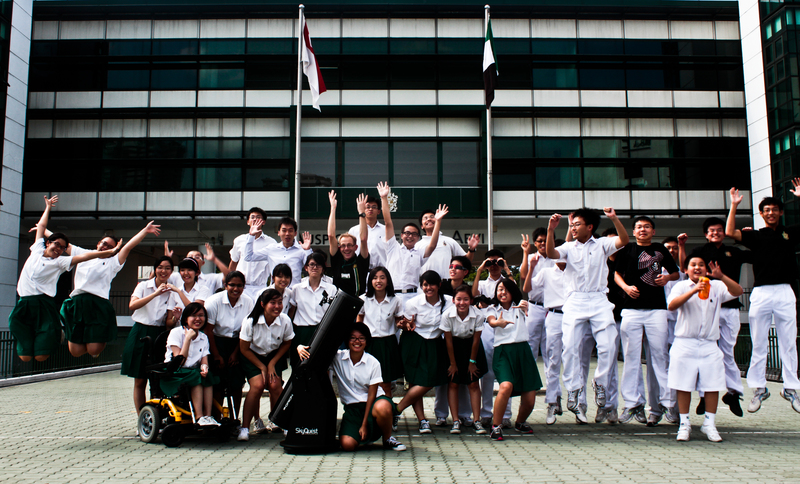 A glimpse into the fun-packed calendar of the club: in early June 2012, members of the club went to NUS for the once-in-a-lifetime observation of the Transit of Venus, as the small dark disk waltzed its way across the face of the Sun. Subsequently, in mid-June, the club joined the 19th IPS/NYP Astronomy Retreat to Port Dickson and got rewarded by a breathtaking, crystal-clear view of the Milky Way. Members also participated in the TASOS stargazing trip to the Semakau Island, which boasts of some of the clearest skies in Singapore, ideal for observation. “We usually don’t sleep during these overnight stargazing sessions, but that’s what I love about Astro. Astro is where I have friends who will stay up through the night with me just because the sky is awesome.” said Vice-Chairperson Lien Chun Hui. Apart from these enticing adventures, the club is also committed to serving the community in its own unique way. 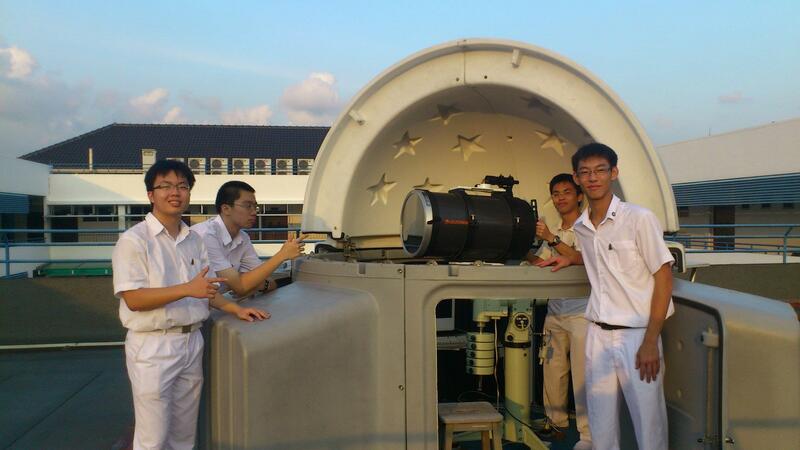 It frequently collaborates with Maris Stella High School, which is equipped with one of the largest observatories in Singapore, to conduct stargazing for the public. Recently, the club organised “Fathers@School”, an evening of bonding and appreciation for the cosmos for students and parents of Maris Stella. 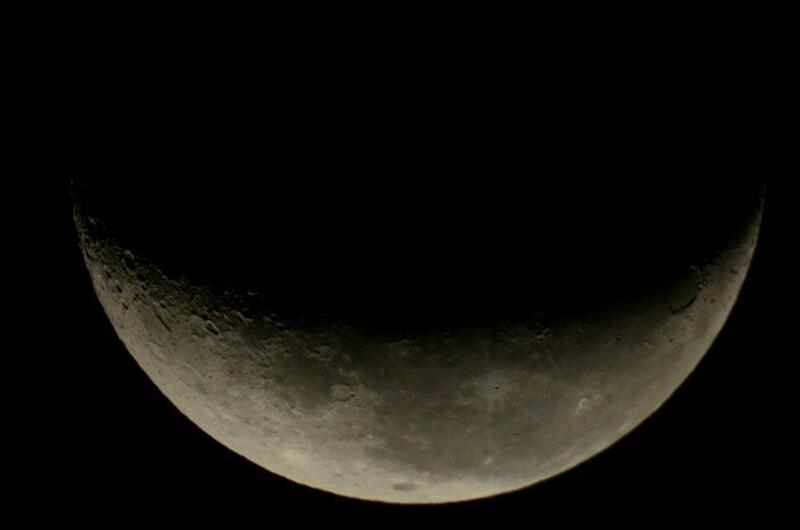 “The experience was fulfilling on a personal level because it enhanced my familiarity with the night sky. Beyond the self however, it was also heartening to see the students’ enthusiasm for astronomy and their eagerness at having a go with the telescopes,” said Wei Shen. In recognition of the club’s fierce devotion to firing the intellect, members will clock in two points per session under the cognitive domain of the Raffles Diploma. 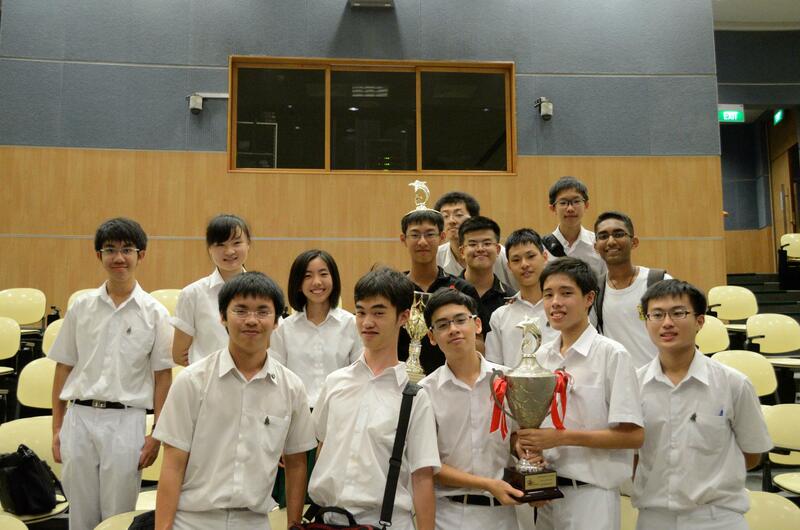 Club members are also known to have a stellar track record when it comes to the competitions, bagging Team Champion in the Advanced Category for the NYP Astronomy Competition, Team Champion, Best Astronomer, Best Project and Best Observation in Senior Category for the NUS-NTU AstroChallenge 2012. However, ultimately, most members of the club prize the close friendships forged and invaluable knowledge gained above the tangible benefits. For those who are confident they possess the unbridled passion the club is looking for, hesitate no more and join Astro!